Clockwise from top: view of Milford Haven Docks from Hakin; view of Haven from town; the Tribute to Fishermen on The Rath. 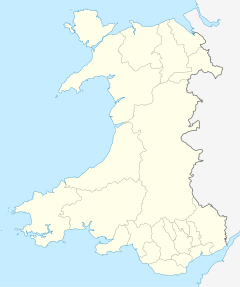 میلفود هِیوِن (به انگلیسی: Milford Haven، تلفظ: ‎/ˈmɪlfəd ˈheɪvən/‎) شهرک در ولز است که در پمبروکشر واقع شده‌است. میلفود هیون ۱۳٬۹۰۷ نفر جمعیت دارد. شهرهای Romilly-sur-Seine و اومان خواهرخوانده‌های میلفود هیون هستند. Rees, James Frederick (1954). The Story of Milford. Cardiff: University Of Wales Press. McKay, Ken (1989). A Vision of Greatness: The History of Milford 1790–1990. Haverfordwest: Brace Harvatt Associates. ISBN 978-0-9515212-0-5. McKay, Ken (1989). A Vision of Greatness: The History of Milford 1790–1990. Milford Haven: Brace Harvatt Associates. ISBN 978-0-9515212-0-5. Richards, Bill (1995). Pembrokeshire Under Fire: The Story Of The Air Raids Of 1940–1. Pembroke Dock: Paterchurch Publications. ISBN 1870745051. Warburton, Jack (1994). Milford Haven in Old Picture Postcards. Netherlands: Zaltbommel. ISBN 90-288-2769-2. Fowler, John Coke (1868). An Essay On The Advantages Of Milford Haven As A Commercial Port Of National Importance. Carmarthen: Welshman Office. ISBN 978-1248085561. در ویکی‌انبار پرونده‌هایی دربارهٔ میلفود هیون موجود است. این صفحه آخرین‌بار در ‏۷ آوریل ۲۰۱۸ ساعت ‏۱۲:۱۷ ویرایش شده‌است.